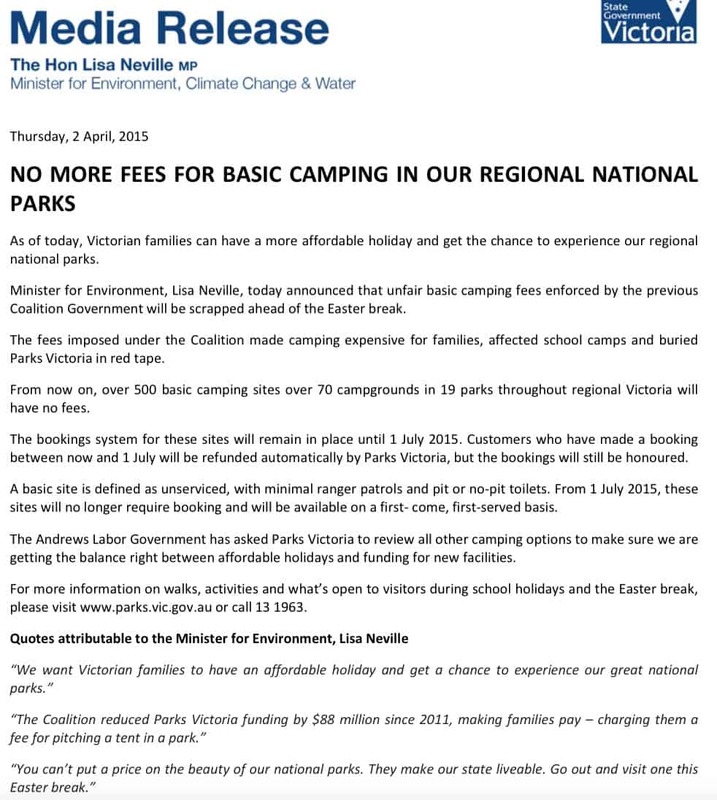 Minister for Environment, Lisa Neville, today announced that unfair basic camping fees enforced by the previous Coalition Government will be scrapped ahead of the Easter break. 4WD Victoria — eNews: March 2015. Click [HERE]. If you would like to be added to 4WD Vic’s database so you receive each issue please email them your intentions <office@fwdvictoria.org.au>. This entry was posted in General Info.. Bookmark the permalink.